In honor of World Card Making day on Oct 4th, Stampin’ Up! has given us a one-time offer to purchase your favorite cardstock, stamp pads, envelopes and adhesives at a wonderful 15% discount! 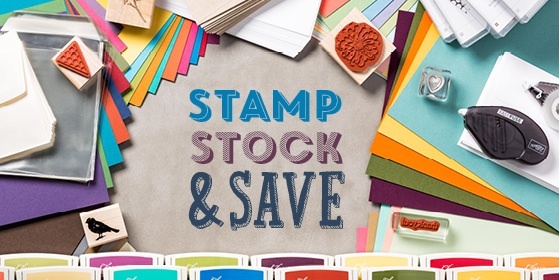 plus a selection of stamp sets at a whopping 20% discount. Here is a link to see these goodies and the great prices….. Remember they are only available until October 6th. Contact me today for more details OR follow the link to my on-line store where you can place your order and have it delivered straight to your door. Please do use this hostess code MKCP247Y, when you place your order . If you order at least $150 then please don’t use the code as YOU become the hostess and get the Rewards!!!! Holiday Season brings the Craft Fairs……….